If you’ve not yet heard, there’s not going to be a You Are Here festival this year. Many people, upon receiving that news, have reacted with dismay (which is flattering) followed by some variation of outrage on our behalf. Understandably the first assumption is that the decision to not run a festival (which would be our 8th) has been forced by lack of support. But not so! Or at least, it’s not that simple. In the years leading up to the Centenary of Canberra all sorts of cultural activity was being actioned in the ACT region, backed by federal funding. The Centenary’s artistic director, Robyn Archer, felt very strongly that there should be a component of these celebrations that highlighted and supported what she viewed as the ‘alternative underbelly’ of Canberra arts, or at least, there should be something for the people who perhaps weren’t going to be interested in the rest of the program. 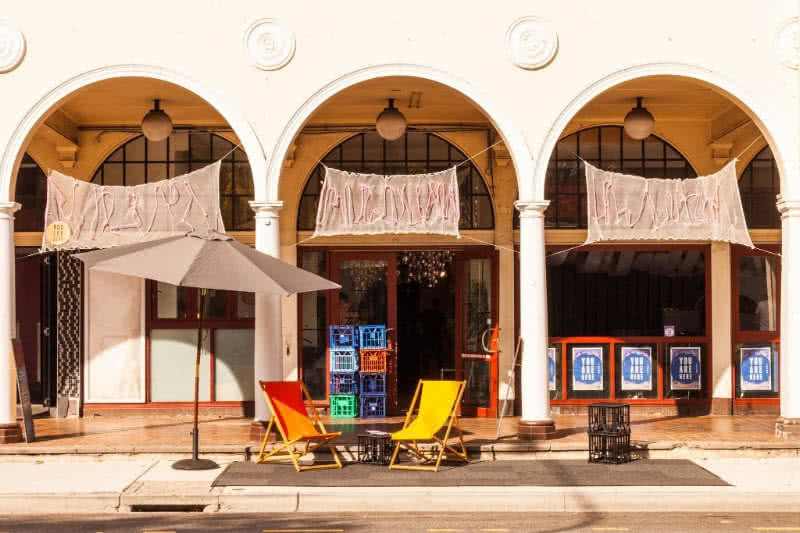 A commission was laid down for a ten-day long arts festival in the Canberra CBD, ideally utilising vacant shopfronts, riffing on the Renew model that was favourably and enviously looked upon by various governments and councils at the time. A single-year pilot was contracted at first (2011), followed by two subsequent years. As we said in our public statement about putting the festival on hold, the Canberra back then was different to the Canberra now. It’s hard to succinctly articulate how so, but a good example is that when the festival began there was only one café in Braddon. One! At the outset, in part because of the nature of our beginnings, and in part just due toyouthful determination, we had a very clear sense of what we were doing, who we were doing it for, and what we hoped to achieve. That YAH was able to transition from a commission of the Centenary to an independent annual project (2014 onwards) was one such achievement. Although the search for adequate funding became a major and ongoing preoccupation, our profile steadily increased, bringing more audience, more artists wanting to participate and more partners wanting to collaborate. More, more and more, and yet the festival staff and board decided in order to maintain what we had created, hold its integrity, that we needed to take on less. In 2015 You Are Hererefashioned itself as a five-day festival, in the interests of doing things right. Though scary at first, to “downsize”, the shift was effective. 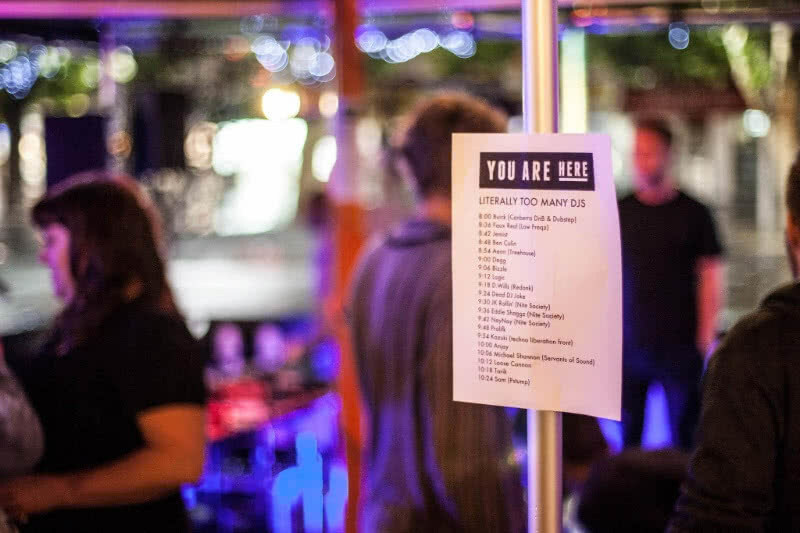 By 2017 You Are Here had run seven consecutive festivals, and become embedded in the collective memory and experience of Canberra artists and arts people. At the core, however, things were losing their strength of vision. Burnout was one contributing factor, as was the instability that comes with major shakeups to arts funding at both national and local scales. The latter contributes most certainly to the former. Also pressing was growing lack of conviction that we were doing the right thing for the right sections of the community. We were the festival Canberra wanted, but were we the festival it needed? 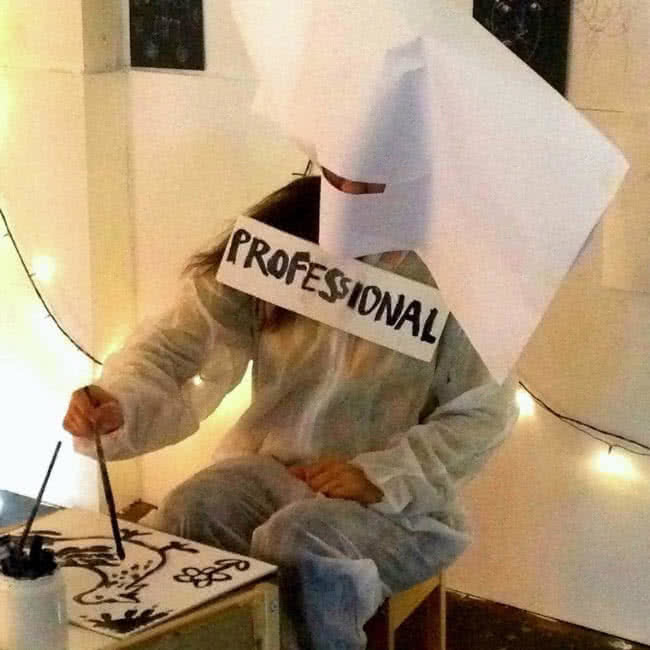 Any arts project or organisation is going to reach a crossroads at one point or another, where the options are: a) carry on at all costs b) pause; or c) stop. We were there. 2018 is that pause. You can read that full piece online HERE. You Are Here is as guilty as any organisation when it comes to leaning on ‘growth language’ to try and express success and intent. We’ve proudly listed the number of events that we’ve managed to squeeze into one program, or the number of artists that areparticipating. We’ve been poised and ready to point a finger at a map and show the impressive sprawl of our venues, or to compare Facebook followers from one year to the next. But none of this is where actual satisfaction lies, and few of these numbers represent any true realization of our aims. And that’s what we’re now set to do. Excitingly, we’ve received program funding via artsACT to support this year’s activities, and we’re grateful this provides us with resourcing to do the job well. Our 2018 process will end in decisions and concrete plans for YAH in 2019 and beyond. We’ll be writing like this regularly over the coming months, showing our workings, thinkings and findings throughout this phase, and you can write back, too. We’ve already heard some really interesting examples of how some of our contemporaries have dealt with the challenge of growth in the sector, and we’d love to hear more.